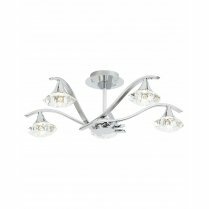 The Mercury 5 Light Semi-flush Fitting has satin chrome finish arms with slim metal detail. 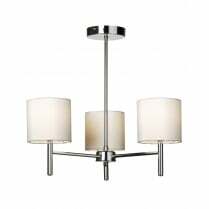 Each arm extends from a circular satin nickel centrepiece and is completed with a cylindrical glass shade and separate frosted glass inner. 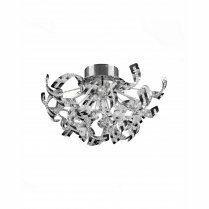 The clear glass displays a decorative water drop design and allows the lights to shine through into your room. 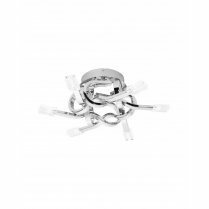 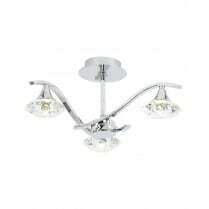 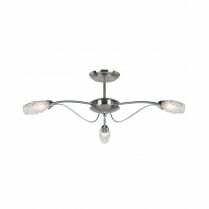 Matching items include a 5 light semi-flush fitting and a 2 light wall fitting. 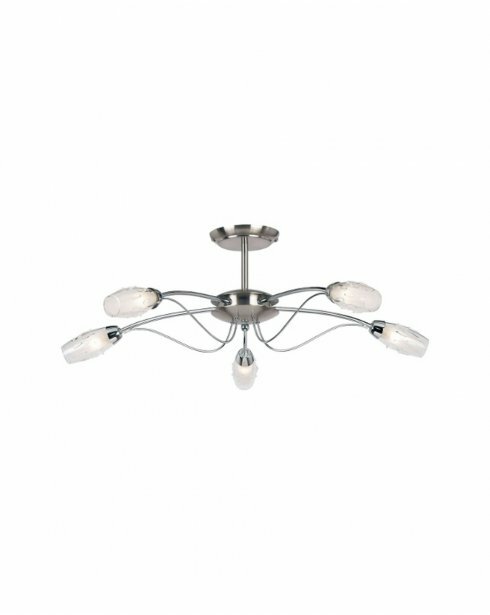 Requires 5 x 33W G9 bulbs and suitable for use with low energy G9 LED's.